If you have been charged with a drug crime it is of the utmost importance that you speak with an experienced and skilled criminal defense attorney who has drug crime experience. The skilled Criminal Defense Lawyer will be able to challenge school zones, weight mandatories, illegal search and seizures, forensic evidence presented by prosecutors, and if needed negotiate the best plea bargain possible. Drug crimes have some of the toughest sentencing guidelines in the criminal justice system and can easily ruin the life of an individual and their family over a small handful of drugs. Convictions on possession, sale or trafficking of controlled substances can result in long mandatory prison sentences above and beyond what the typical guidelines call for. 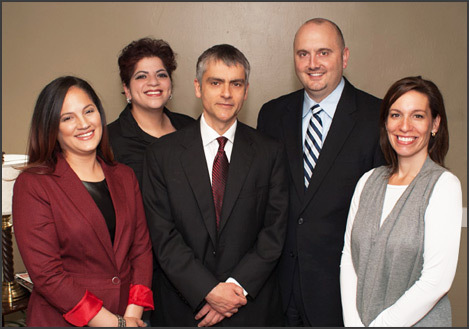 The legal team at Miller Lyden P.C. can use their experience and knowledge to guide you through the process of defending your rights from the beginning of the process to the end. We have the skill and insight to have charges dismissed or reduced before any trial becomes necessary. A drug related crime almost always involves either the possession, use, sale, manufacture, or distribution of an illegal drug or narcotic. In Pennsylvania controlled substances include: cocaine, crack, heroin, LSD, marijuana, methamphetamine (meth), steroids, opium, unauthorized prescription drugs, and new designer drugs like ‘bath salts’ and synthetic marijuana. Drug crimes, depending upon the amount and circumstances, may be classified as either misdemeanors or felonies. The classification usually depends upon the type of drug involved, the amount of the drug under possession, and the type of crime that has been committed. Persons having been convicted of a drug crime are capable of being punished with imprisonment, fines, community service, probation, parole, and court ordered treatment. Assets can be seized, vehicles and electronics taken and bank accounts froze. If a firearm is found along with the controlled substances, charges as well as mandatories will increase. We offer confidential criminal defense representation for individuals facing Drug Crimes throughout the criminal court process, that can include but are not limited to the possession or distribution of: Marijuana, Cocaine, Meth, Heroin. The Pennsylvania Substance, Drug, Device and Cosmetic Act at 35 P.S. 780-113(a)(16) defines possession of a controlled substance as knowingly or intentionally possessing a controlled or counterfeit substance, unless the substance was obtained from a valid prescription order. Paraphernalia is any equipment, product, or materials of any kind that are used or designed for use in planting, packaging, injecting, or ingesting any controlled substance listed in the Pennsylvania Substance, Drug, Device and Cosmetic Act. 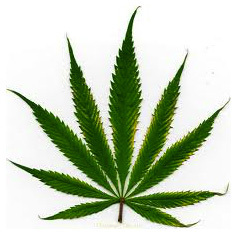 Even a charge of simple possession of Marijuana (< 30 grams) can carry serious consequences to an otherwise law abiding citizen, with a potential jail sentence of up to 30 days in jail, a $500.00 fine and a 6 month license suspension. Miller Lyden P.C. can help you explore all the options available to you. We can request entry into diversionary programs which will allow your charges to be withdrawn and eliminate your exposure to a criminal record. Marijuana, a schedule I controlled substance, also known as cannabis, pot, ganja, bud, chronic, grass and reefer is one of the most frequently abused drugs in Pennsylvania. Although it has been legalized in some states for the medical treatment of pain, it is recognized as an illegal, controlled substance here in Pennsylvania. A conviction on marijuana charges can result in swift punishment and along with incarceration and a criminal record, a conviction will carry long term consequences toward your daily life. Cocaine also known as crack, blow, coke, dust, base or rock is a Schedule II controlled substance and is a powerful stimulant to the central nervous system. A drug which may lead to serious addiction, cocaine has been the focus of law enforcement since it introduction and proliferation as crack cocaine on the streets in the mid-1980s. A report in 2004 showed that cocaine was involved in 383,350 emergency room visits and in the same year 256,387 cocaine addicts were admitted to publicly funded treatment centers. Crack cocaine, a form of freebase cocaine, is created through a chemical process in which powder cocaine combined with a cutting agent like baking soda and is then ‘cooked’ into a substance which can be introduced into the body in a more potent variant. Along with this potency comes a much greater risk of addition and long-term health effects on the smoker. Like other states, Pennsylvania has taken a hard line on the manufacture and distribution of cocaine into the community. Mandatory prison sentences are set by the weight of the drugs seized. School zone mandatories also exist when drugs are recovered in the proximity of schools or parks. Under federal programs like Operation Safe Neighborhood, charges can be transferred from local jurisdiction into the federal system where sentencing ramification are much greater. The accused individual’s history of criminal activity, if any. Miller Lyden P.C. 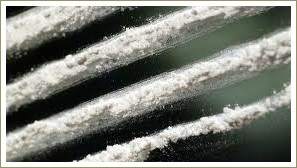 are the legal professionals to turn to when you’re facing a cocaine-related legal problem. We have years of experience when dealing with drug or cocaine related charges throughout the criminal court process, in Lancaster, PA.
Heroin has been identified by law enforcement as the most addictive drug and potentially most dangerous. In Pennsylvania, law enforcement and judges are trying to crack down hard on those caught manufacturing, distributing or trafficking in heroin. Even a small amount of heroin can result in a lengthy mandatory prison sentences and seizure and forfeiture of personal property. The Lancaster office of Miller Lyden P.C. will be aggressive and dedicated in helping you avoid harsh penalties. We use a thorough and detailed approach to successfully defend your case. We will investigate and research whether the police violated your Constitutional Rights when they stopped you, searched you or gathered evidence against you. If your rights were violated, we can seek remedies to mitigate your sentence or motion to have your charges dismissed. Even if your rights were not violated, we will explore the circumstances of your case and determine the best defense available to you. If negotiating a plea deal becomes the best resolution to your case, we will use the best approach in our discussions with the government to reduce your charge and or lower your sentence exposure below the minimum penalties. As former prosecutor, I am familiar with the government approach to prosecuting drug cases. We also realize that some of our clients have a drug addiction and we can assist you in getting treatment. Any positive steps someone takes on getting their life back in order helps us negotiate with the government. Contact Miller Lyden P.C. 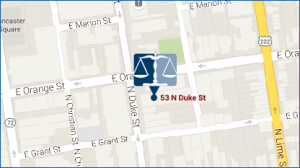 in Lancaster, PA and let us help you through the criminal court process today. Methamphetamine — also known as meth, ice, crystal, crank, and dozens of other names — is one of the most addictive and abused drugs in the United States, with thousands of individuals arrested and charged with using, possessing, selling and manufacturing it each year. For those convicted with the manufacture, possession or delivery of methamphetamine, a lengthy prison sentence, forfeiture of assets, hefty mandatory fines and other repercussions can be expected. Fortunately, it’s possible to fight a meth charge. If you are facing a Lancaster, PA methamphetamine charge, an experienced defense lawyer from Miller Lyden P.C. can view your case and begin working on an aggressive defense strategy. The criminal defense lawyers at Miller Lyden P.C. have been defending clients facing serious drug charges for years. We have vast experience handling the most serious drug-related crimes such as methamphetamine trafficking and meth manufacture. We have had great success defending drug charges in both state and federal court and have the experience and knowledge to ensure that all options are available to the accused. When clients come to us because they are not comfortable with their current counsel, or need a fresh perspective, we have had success re-examining a case and finding alternatives to an assumed lengthy prison term. We have taken several high-profile Lancaster area drug cases to trial and have negotiated drastic sentence reductions where appropriate.